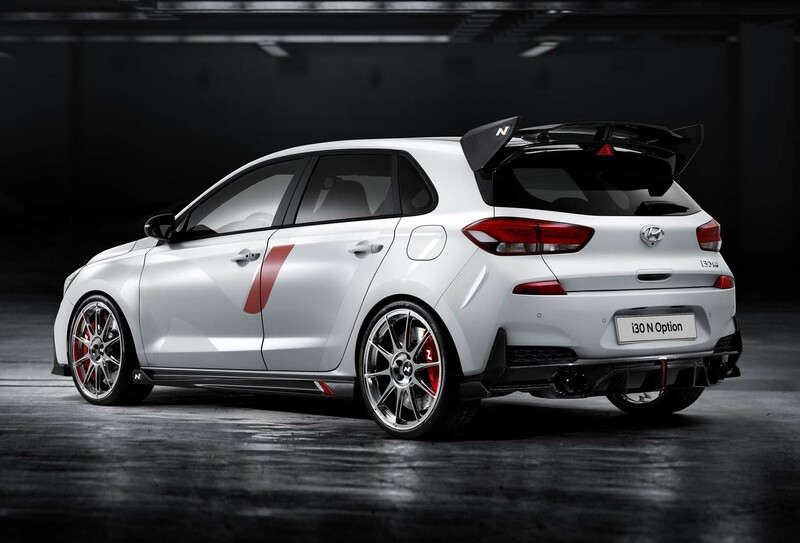 Hyundai has unveiled an i30 N ‘N Option’ show car version of its hot hatch to highlight a forthcoming range of customisation features being developed by its performance division. Inside, the machine features black carbon accents on the dashboard and other areas, new pedals and Alcantara coverings on the steering wheel, upper dashboard and bucket seats. The N Option range is the latest expansion of Hyundau’s new performance brand. It has already launched an N Line trim level for the standard i30, which will likely expand to other models in the future. As well as the 130 N ‘N Option’ show car, Hyundai’s Paris stand features its second European market N model: the i30 Fastback N.
Maybe a stage 2 power pack would get it more sales. Not that it's really needed! 330BHP maybe?